New York's billionaire mayor said Friday it would be "a godsend" if the world's other billionaires all moved to the city because it would increase the tax base. Mayor Michael Bloomberg said on his weekly WOR radio show that the reason census figures released this week showed a wide income gap in New York City is that the city boast so many rich people. 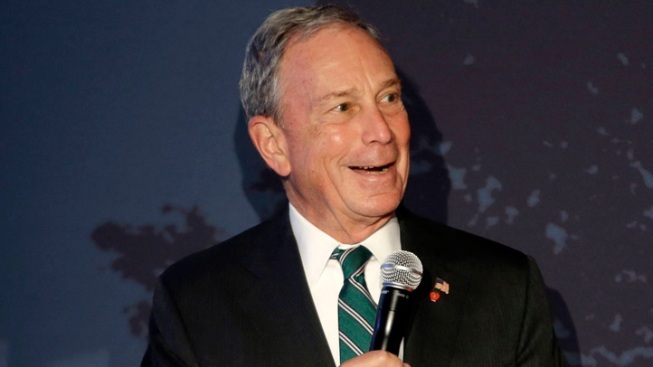 "They are the ones that pay a lot of the taxes," Bloomberg said. "They're the ones that spend a lot of money in the stores and restaurants and create a big chunk of our economy. And we take tax revenues from those people to help people throughout the entire rest of the spectrum." The U.S. Census Bureau figures showed that the mean income of the lowest fifth of New York City households was $8,993 last year, compared with $222,871 for the highest fifth. Bloomberg added, "If we could get every billionaire around the world to move here it would be a godsend that would create a much bigger income gap." The mayor's comments echoed the New York magazine interview earlier this month when he said, "Wouldn't it be great if we could get all the Russian billionaires to move here?" The leading candidate to replace Bloomberg when he leaves office Dec. 31 after three terms, Democrat Bill de Blasio, has promised to address the gap between rich and poor. De Blasio said in a written statement Thursday that the census numbers confirmed that "we're living a Tale of Two Cities where the rich grow richer while everyone else struggles just to get by." Forbes estimates Bloomberg's own net worth at $31 billion, making him one of the world's richest people.